If you wish to receive information from the School Counselors via Schoology, please login to your account and accept the request that was sent to you. What is the Delaware Goes to College Academy? The Delaware Goes to College Academy is designed as a blended “in-person and online” program to provide students with FREE high-quality college admissions consulting. All the expenses for this program are paid for through funding by TeenSHARP, the Department of Education, the Arsht-Cannon Fund, and Capital One. The program will assist students with the selection of high school courses to prepare them for college, selection of colleges to apply to, writing college essays, visiting college campuses, applying to scholarships, and completing and negotiating financial aid. Students will have consistent access to a pool of highly qualified college advisors who will be prepared to respond to any questions within 24 hours. Students must be a rising Junior or Senior, and have a 3.0 GPA or higher. This program is designed for students of all racial and ethnic backgrounds as long as they meet the eligibility requirements stated above. Students from low income backgrounds are strongly encouraged to apply. College Admissions Officers will meet you in the Innovation Center to share college information with you during the school day! Register Now! Schedule a visit to a college on your list by going to your school’s website or choose from this list below. Summer College Options – Schedule of summer college options for students. This list is updated as we receive information in the School Counseling office. Step 3: Apply to College! Although every college is unique, we have compiled a list of potential information you will need to fill out the average, 4 year college application. Some colleges will require less and some colleges will require more. It is imperative that you follow the instructions for your individual college. List of Courses and Course Level of Classes taken throughout high school, including Senior Year courses. William Penn School Counselors recommend that all students apply to four or more colleges! At least one of these schools should be your dream school and one should be a back up school. In this age of technology, most college applications are completed online. You can acquire an application by going to the college’s website and completing the application online, downloading a paper application, or apply to multiple schools at once by using a common application. 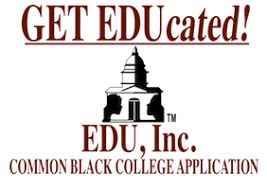 Apply to any one of 54 Historically Black Colleges or Universities with one application and pay only a one time fee. Is a degree program you’d like to pursue not available in your state? Have you found a degree program at an out-of-state institution, but the higher tuition is a barrier?Looking for options with lower tuition? You’re in the right place. For more than 35 years, SREB’s Academic Common Market has enabled students to pursue out-of-state college degrees at in-state tuition rates, through agreements among the states and colleges and universities. Search from more than 1,900 undergraduate and graduate degree programs available in the 15 SREB states. It’s quick and easy. Plan your responses to the questionnaire carefully, as it will be published to the staff at WP. Once you ask a staff member, we will access this information electronically and use it to write you a quality letter of recommendation. Must be someone who knows or has taught you in your Junior & Senior years. Someone who can write well. Ask two different teachers (most colleges do not require more than two and some require none). The person writing the recommendation cannot be related to you. You should request your letter two weeks prior to the deadline. Be clear as to how you would like the recommendation submitted. Online: Provide the link or invite the person to submit a letter on your behalf. Paper: Provide a letter and a stamped envelope. The person you ask will be honest about your ability, behavior, integrity, and character. The LOR does not have to be given back to you for your review. Most LOR are confidential. It is in your best interest to “Waive Your Right” to view these documents when submitted electronically. Understand the essay question and be sure to answer the question relevantly. Research your college and explore their mission statement. You want to find out what they are looking for in a student. Your essay should help you “JUMP OFF THE PAGE”. DO NOT WAIT UNTIL THE LAST SECOND to write or review your essay. Have an adult/teacher proof read your essay before you submit it. Wm. Penn has chosen Parchment for all transcript requests. Send your official transcript anywhere in the world with just a few clicks! To order your transcript, click the REQUEST MY TRANSCRIPT button to the left. The first thing you’ll do is create an account, then you’ll place your order, and then you can track your order 24/7. This can be done by current students and alumni. Visit parchment.com/studentkit to access the Parchment Student Tool Kit Containing: Video Tutorials, User Guides, Frequently Asked Questions, and Support Resources. The initial transcript (with grades from your 9-11th grade years) should be requested through parchment to be be sent along with your application at the beginning of your senior year. This means your GPA from your first three years will be the one reported on your applications. If you must send a paper copy of your transcript, you can request one through parchment and they will send you a pdf link or opt to have them mail a copy for a small fee. Mid Year reports – After the completion of the first semester at Wm. Penn, your mid year reports (aka – 2nd marking period report card), will be submitted to the college/university. Final Transcripts – Once you decide which school you will be attending, be sure to use Parchment to request a final transcript to be sent to the college or university of your choosing. Your final transcript includes the culmination of your academic 4 years in high school. You will run into several issues during your college freshman year if you forget to complete this step. SAT Prep – Khan Academy, During Advisory Periods, enroll in an SAT prep class during the school day. What are the differences between the SAT & ACT? As a member of the Delaware Goes to College Initiative, Wm. Penn seniors will once again participate in CAM. During this month, all Delaware College and Universities are offering to waive college application fees (typically from mid October until Thanksgiving Break). October 31st through November 4th at Wm. Penn, all seniors will be asked to complete at least one application during CAW. During these 1.5 hour long sessions, students will have access to counselors, community members, and fee waiver codes while they are applying to college. It is recommended that any student looking to complete the Common Application during CAW should work on their application prior to CAW. The Common Application has many parts and can take an extended amount of time. Wm. Penn High School celebrates FAFSA Month! William Penn High School is proud to announce January as Financial Aid Awareness Month. In Conjunction with Delaware College Application Week, we as a school and community want to increase family and student awareness of the financial aid process associated with post-secondary education. William Penn High School is partnering with Stand By Me to work with our Seniors and their families. FAFSA Week – What seniors and their Guardians need to know! · Information on cash, savings and checking account balances, investments (including stocks, bonds, real estate but not including the home in which you live), and business/farm assets for you and your parents (if you are a dependent student). Financial Aid Night; November 7, 2018, 6:00-7:00 PM A financial aid officer will facilitate an hour long session discussing the types of financial aid to assist with college costs and steps for completing the FAFSA application. More information to follow at a later date. Financial Aid Workshops: 3-6 PM on the following days: November 15, December 13, January 17, February 21. WP FAFSA Week enter here! 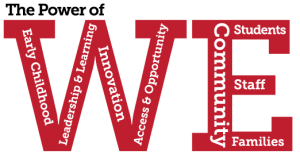 William Penn High School will host FAFSA week December 5 – 9th, 2017 in English Classes. In Conjunction with Delaware College Application Week, we as a school and community want to increase family and student awareness of the financial aid process associated with post-secondary education. William Penn High School is partnering with Stand By Me to work with our Seniors and their families. Please download the Prepare for FAFSA Flyer to organize yourself for your FAFSA appointment with your school counselor. The Quest Bridge National College Match helps outstanding low-income high school seniors gain admission and full four-year scholarships to some of the nation’s most selective colleges. New U of DE Scholarship announced: A $3 million Give Something Back Foundation gift to the University of Delaware will provide full scholarships and academic mentoring to 150 in-state high-need students. If you have been selected for scholarship monies, please notify your school counselor. This information is tracked by each school counselor and is compiled and presented at the graduation ceremony. The guidance office will ask for a copy of the acceptance letter, the amount awarded, and the number of years you would be eligible for that amount. If you are awarded multiple scholarships, even if you do not plan to attend that particular school, please notify us as well. Click here to report any scholarship awards that you have received. What is the next step? Click here for a detailed list of what you need to do. If you have been accepted to a college or university, please notify your school counselor by using this form: College acceptance form. This information is due by the end of April every year. In addition, completion of this form will automatically enter your name into our Bed Bath and Beyond Dorm Room Raffle. Prizes to be announced at our College Acceptance Celebration in May.